Your mobile app is only as good as your push notifications marketing strategy. Building an app with mobile app templates and then patting yourself on the back for being so technologically advanced is not always the best idea. Not to worry though, since you don’t have to have a development education to streamline your mobile app marketing and really turn a profit using your new mobile platform. Urban Airship reports that a solid push notification marketing strategy can increase your daily mobile app opens by over 540 percent. A stat like this should make your mouth water, especially with mobile app builder tools that take around five minutes to use like iBuildApp. Simply pick out your favorite mobile app templates, spruce it up a bit and start working on your push notifications marketing. How do you approach your push notification marketing strategy to ensure that your customers don’t get completely annoyed by the messages you send out? There are plenty of push notifications best practices online, but your best bet is to get creative, while remaining professional and relevant. Let’s bend the traditional push notifications best practices to take a look at some creative push notifications marketing tips for you mobile app. Downtime is the ideal time to offer special promotions and deals. If your mobile app users know that they receive exclusive specials then they are more likely to download and keep your mobile app on their phone. There was a small mac and cheese shop by my old office that would send out push notifications for specials at weird times. I’m assuming they wanted to drum up business for times of the day besides the lunch hour, which makes sense. Needless to say, there was a group of us at the office that would always head out and grab a little afternoon snack whenever the promotions were sent out. If you send out push notifications and attach a time limit you give people an incentive to get up immediately. For a fitness club you can create a push notification that offers a discounted or free workout session right after people eat their lunch. I can’t imagine the hours after lunch are that busy in a fitness center, but if people see they can save they might eat quicker and head over for a workout. I used to receive Facebook posts from a golf course in my area, and the golf pro always posted random things about pop culture that never seemed to relate to golf. To my surprise every post had hundreds of shares, likes and comments. They incorporated celebrity birthdays, recent news and basically anything you might see trending on Twitter and related it to golf in some way. The reason you should use pop culture in your push notifications marketing strategy is simple: People, especially Americans, can’t get enough of pop culture. If you run a fitness club consider sharing something on Mike Tyson’s birthday. Offer a discount for people who are new to your boxing classes. One of the best features with mobile apps is push notifications based on location. 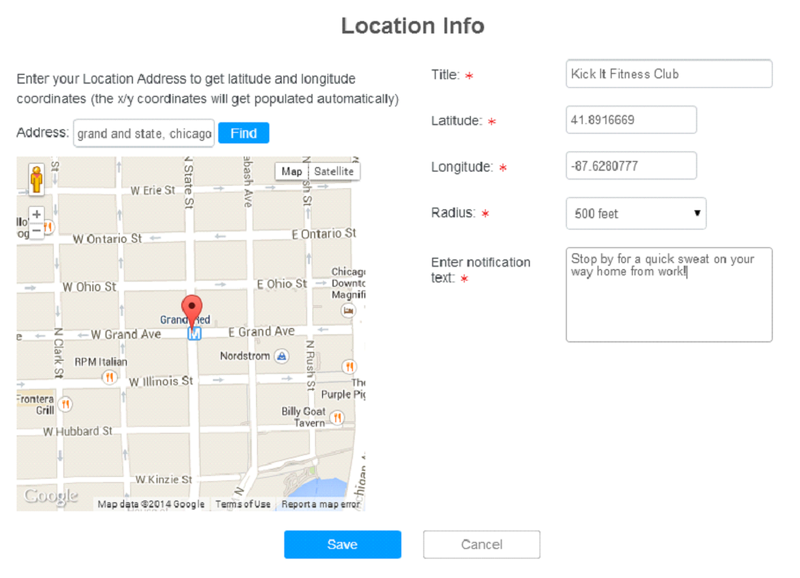 Imagine the possibilities when your app sends out a message whenever someone walks into a certain location range. Catch people on their way home from work for a quick workout, or tell folks to stop by for a quick drink before they go to a show if you own a bar. Target marketing doesn’t get any better than this, and iBuildApp makes it possible with just a few clicks. Push notifications work nicely for grabbing attention, but what happens when people navigate to your app? Each click makes people less and less likely to purchase from your business so you have to really make them want what you are offering. 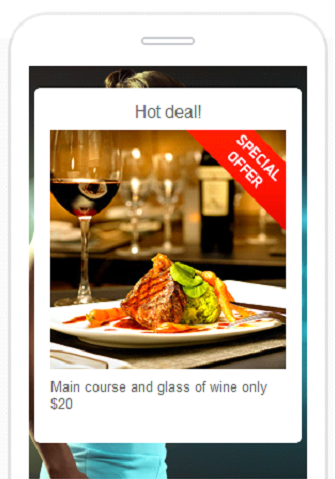 Consider including a notification banner in your mobile app to show people that the deal won’t last forever. My favorite part about this feature is you get a chance to include a picture. Restaurants and bars can use this to put mouth watering foods and drinks in customer minds. Even entertainers and artists can share their work by having it pop up once someone opens the mobile app. Let us know in the comments section if you have used any of these creative push notification marketing strategies in the past. Share your thoughts on how you can improve your mobile app and get people to open up your Push Notifications more frequently.